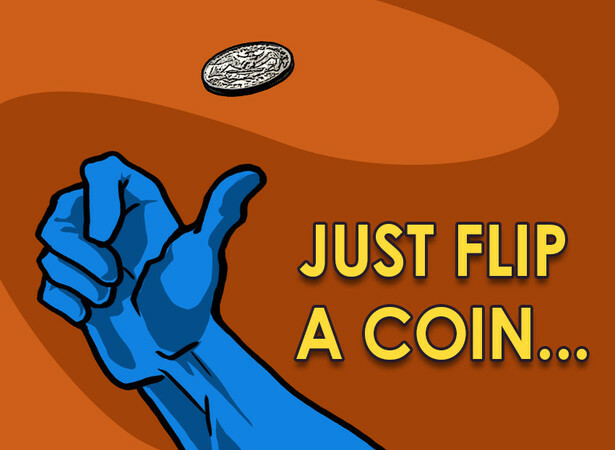 Just Flip a Coin – Heads or Tails? Inaccessible gage locations where the soldering tab cannot be reached with a soldering iron. Field installations in inclement weather, especially low temperatures, rain or snow, and heavy winds. Gage installations on plastics, composites and other materials subject to damage from the heat of soldering. Gage installations in explosive or inflammable environments where soldering is not permitted. Under these and similar conditions, strain gages with preattached leadwires can greatly simplify gage installations. The lowest melting point solder which satisfies both test temperature and adhesive and cure temperature requirements should be selected.Unbonded gages have a lower tolerance for high soldering temperature. The smallest practicable diameter leadwire should be soldered to the gage to reduce solder connection height and its effect on uniform clamping pressure.In no case should larger than stranded 30 AWG wire, like M-LINE 330-DFV, be attached directly to the gage. Use a smooth, clean plate of steel, glass, or aluminum as a work surface and heat sink.Degrease the surface as if a gage were being installed on it. Using standard handling techniques, remove the gage from its folder and place it on the work surface with the bonding side down.To ensure that the gage is in good thermal contact with the heat-absorbing surface, hold it in place with a short strip of drafting tape (PDT-3), leaving the end half of the terminals exposed. Thermally strip and tin the leadwires as normal.Trim the tinned conductors so that approximately 0.1 in (2.5 mm) extends beyond the insulation. Because unbonded gages can dissipate less heat, a temperature-regulated soldering station is essential for soldering.Attach the leadwires with standard soldering techniques.However, use the lowest recommended soldering temperature for the solder type, and apply the least amount of solder possible. Flood the gage and tape area with rosin solvent (M-LINE RSK-1) to remove the drafting tape after soldering.Lift the gage assembly by the leadwires and dip into a container of clean solvent.Scrub all solder connections and gage face with the brush supplied with the solvent.Remove the assembly and carefully blot it dry between gauze sponges. (M-LINE GSP-1). Holding the assembly by the cable, place the gage on the work surface with the bonding side up.Wipe with a cotton applicator (M-LINE CSP-1) slightly moistened in M-Prep Neutralizer 5A. Replace the gage assembly in the clear plastic folder and tape shut until ready for use. Installations can be made with most Micro-Measurements adhesives including the popular M-Bond 200 cyanoacrylate and M-Bond AE-10 epoxy adhesives. M-Bond 600 and 610 can also be used if leadwires have thin film insulations. In all cases, the bonding techniques supplied with each adhesive can be followed with only a few modifications for gages with preattached cables. Prepare the surface of the test object by the methods recommended for that material as outlined in Instruction Bulletin B-129. Carefully remove the gage assembly from the folder, and place it with the bonding side down on a chemically clean surface.Place a 4- to 6-in (100- to 150–mm) piece of clear gage-transfer tape (M-LINE PCT-2M or MJG-2 as appropriate for the adhesive) across the gage, transverse to the cable. Carefully lift the tape at a shallow angle to lift the gage assembly from the surface. Position the gage at the location where the measurements are to be made.Firmly anchor one end of the tape to the test specimen and temporarily secure the balance of the cable.Application of the adhesive can now follow regular procedures except that the side of the gage (rather than its end) is at the fold formed by the junction of the tape and specimen surface. Normal clamping procedures are suitable for most adhesives.For M-Bond 200, retention of the gauze sponge under the thumb following wipe-out may be helpful in producing a more uniform pressure over the terminal area.If the sponge is retained, be certain that the thumb is actually centered over the gage, and allow several additional minutes of curing time.Excess adhesive flow in the leadwire area is common, but it is not detrimental to the gage bond or performance of the installation. After firmly anchoring the leadwires, remove the handling tape from the installation and apply an appropriate M-LINE environmental protection.